1. From 1-495 Capital Beltway take exit 28B MD-650 New Hampshire Avenue south towards Takoma Park and travel 0.3 miles. 2. Turn left onto Adelphi Road and travel 2 miles. 3. Turn left onto University Boulevard and travel approximately 0.5 miles to Stadium Drive. 4. 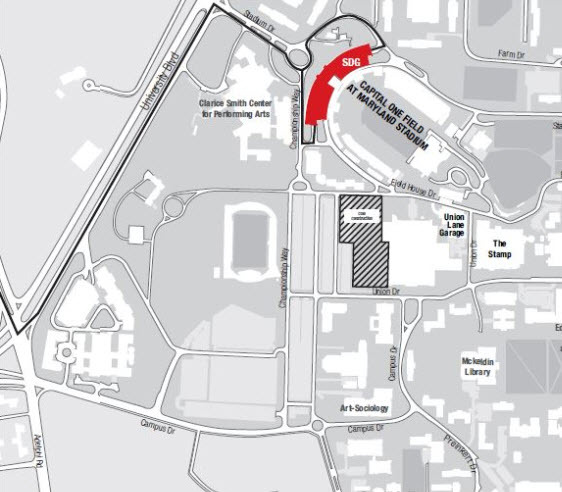 Turn right onto Stadium Drive to enter campus. *four hours prior to tipoff until midnight. Terms and Conditions. All parking lots open four (4) hours prior to scheduled tipoff.